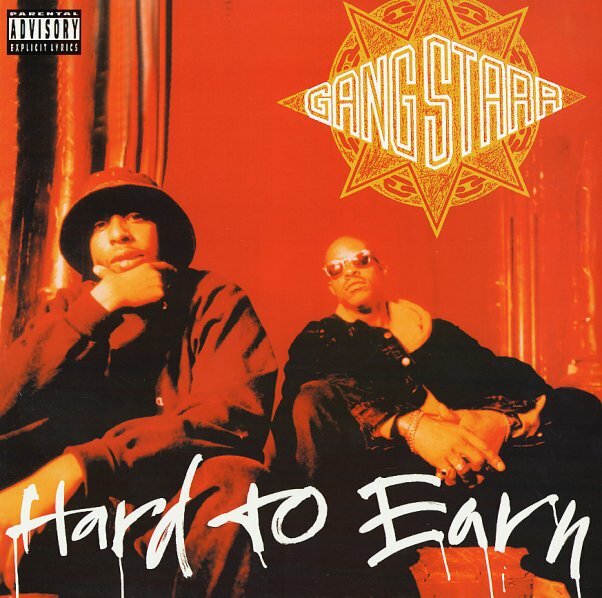 Gang Starr at pretty close to peak level here on 1994's Hard To Earn – and rather than continue to ride the waves they made on the previous couple classic albums, Guru sharpens the lyrical tone just a bit – spitting some more incisive rhymes over apporpriately gritty soul jazz beats from Primo. Tracks include the classic "DWYCK" featuring Nice & Smooth – which is just about our favorite Gang Starr track ever, to be honest – plus "Speak Ya Clout" featuring Jeru and Lil Dap, "Mass Appeal", "Code Of The Streets", "Brainstorm", "Tonz O Gunz", "Suckas Need Bodyguards", "Blowin Up The Spot", "Mostly Tha Voice", "F.A.L.A. ", "Now You're Mine", "Comin For Datazz", "Aiight Chill...", "The Planet", and more. © 1996-2019, Dusty Groove, Inc.